Leak Location – Cherry City Plumbing, LLC. Leaky or broken pipes can be frustrating for anyone. Just diagnosing the problem may seem impossible, let alone finding the solution. Especially when it’s buried deep in the walls, or somewhere under the house. If the leak is severe, or has been ongoing for some time, it could amount to hundreds of dollars. There are numerous reasons why leaks occur. A common cause is cold winter temperatures freezing the water in your lines, leading to cracks and leaks. Whatever the cause, water escaping from the pipes will cause serious problems over time. Mold and decay doesn’t take long to set into walls and floors, compromising the integrity of any structure. Armed with the very best in leak location equipment, what may seem like an overwhelming predicament is actually a simple procedure for our plumbing and repair experts who can easily locate and diagnose even the most illusive leaks. Once the leak is found, repairs can be made, preventing further damage to the surrounding area. 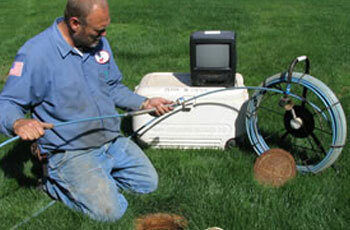 With the sewer TV camera, we are able to visually inspect the inside of your pipes. With this eyes-on technology, we can quickly and easily spot the problem areas in your plumbing. Drain lines and sewer pipes are no longer a mystery. Whether you’re looking for routine inspections, or need to identify a problem area of your plumbing, this procedure is a visually revealing solution.